Did you know that high blood pressure is the leading risk factor for heart attack and stroke? Nearly 80% of strokes are preventable, and many of those are associated with high blood pressure. Hypertensive individuals are one and a half times more likely to have a stroke in their lifetime because high blood pressure can damage the lining of blood vessels. With a family history of hypertension, this type of condition truly hits home and matters to me. Controlling my blood pressure matters to me. Through my partnership with Omron, I was recently given the opportunity to ask Dr. Sarah Song, M.D., Neurologist at Rush University Medical Center, a handful of questions about blood pressure awareness. Colby and I are currently doing the 90-day Going for Zero™ challenge and working towards a healthier heart. We’ve made lifestyle changes to our diet to lose weight and are making a more conscious effort to focus on our health. We even ran a 5K two weeks ago! 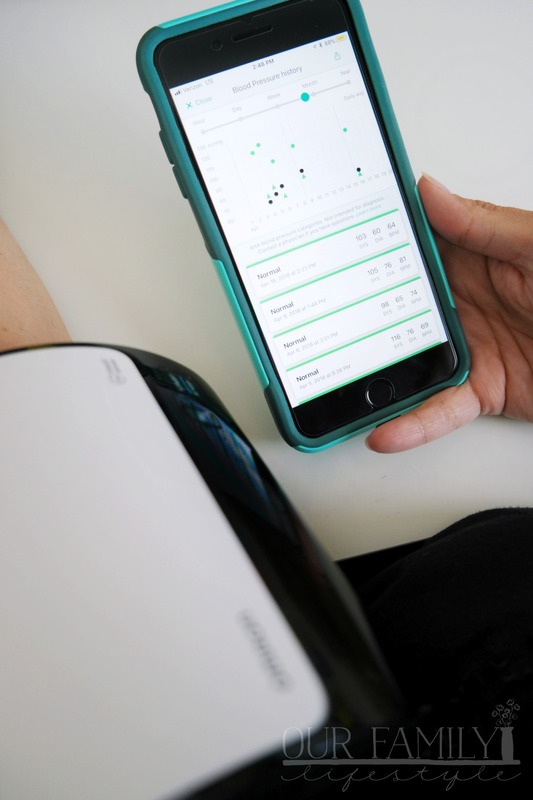 Using the Omron Connect App to remind us to monitor our blood pressure each week with the Omron EVOLV, we are continuously learning about controlling our blood pressure. But, in order to fully understand why we measure our blood pressure, it helps to learn more about the “why” behind it all. This is where my questions for Dr. Song were helpful. For a normal reading, your blood pressure needs to show a top number (systolic pressure) that’s between 90 and 120 and a bottom number (diastolic pressure) that’s between 60 and less than 80. The recently updated guidelines from the American Heart Association and American College of Cardiology define hypertension as a blood pressure reading of 130/80 mmHg or higher. 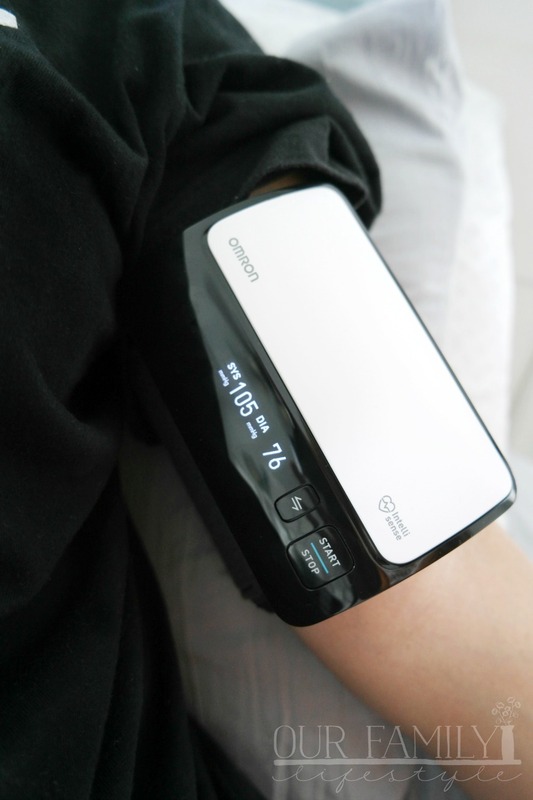 Dr. Song recommends purchasing an accurate home blood pressure monitor; such as the Omron EVOLV. This way, you can do regular monitoring – at least once a week or daily if they are in the hypertensive range – on your own. This helps provide a much closer look at your numbers. It’s not enough to get your blood pressure checked only at your annual physical. What are the benefits of using a home blood pressure monitor? Monitoring your numbers regularly helps to get you a more realistic interpretation of your blood pressure. It’s the best way to know what your readings are on a regular basis over time. This is also helpful for determining specific situations or lifestyle habits that tend to raise your blood pressure readings, so you can be more proactive about changing your habits. Not to mention, how many of us get “white coat syndrome” and find ourselves with an elevated blood pressure in a doctor’s office? Monitoring at home will eliminate inaccurate readings caused by white coat syndrome and provide a more accurate picture of your heart health. Should I avoid any foods or other medications? Diet is an important factor of heart health. Choose nutrient-rich options like fruits and vegetables and avoid fatty foods and large portion sizes. Avoid high sodium foods as well, as sodium has been shown to contribute to higher blood pressure. Instead, try eating foods rich in potassium, magnesium, calcium, and fiber. Taking all of this into careful consideration, and knowing my family’s medical history, it’s been a good way to make necessary lifestyle changes towards better heart health. Colby and I are maintaining our pre-5K workout schedule, are still trying to stick to a clean eating menu and are monitoring our blood pressure each week. Together, we hold each other accountable and are working towards a healthier future not only for ourselves, but for our children and grandchildren. Learn more about the Omron EVOLV and how it can help you manage your blood pressure and better know your numbers.